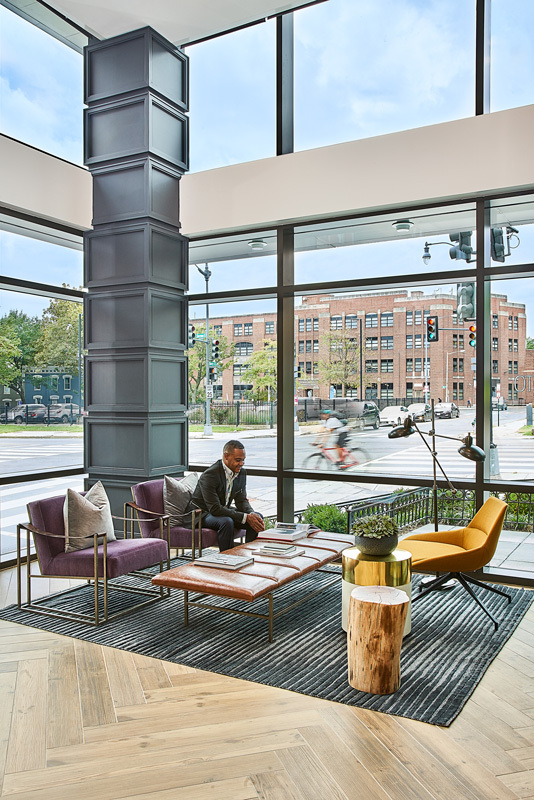 Located on the northern edge of the Shaw neighborhood in Washington D.C., Trellis House is designed to provide a communal node and new way of living for young professionals seeking a diverse social atmosphere. The market-rate, mixed-use development activates the street edge with retail and engages the neighboring park with walk-up townhomes. “Provide someone a great place to live, work, and grow” was the charge from our client, so NBA incorporated a unique combination of amenities including a state of the art fitness center with yoga studio, interactive test kitchen, outdoor pool and grille area and hydroponic roof top garden. 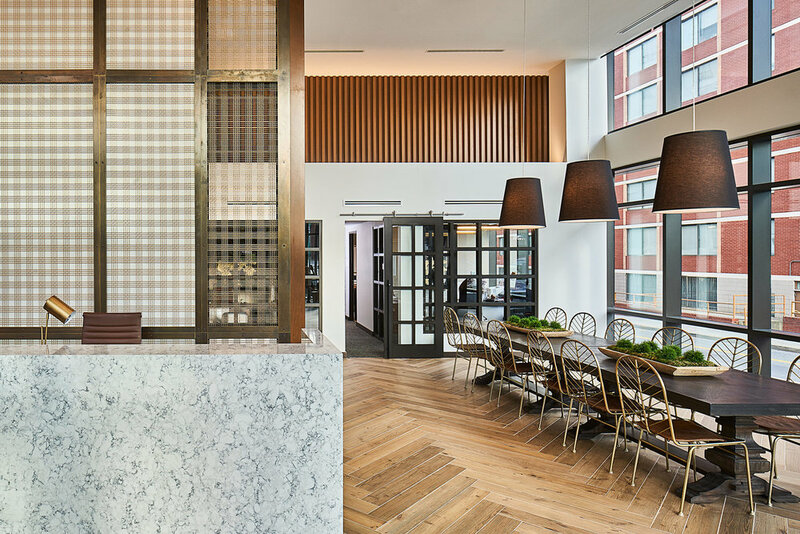 Rated LEED Platinum, the building promotes wellness and includes sustainable elements such as green roofs, bio-retention planters, LED lighting fixtures and recycling facilities.